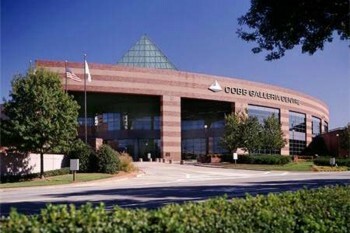 Cobb Galleria Centre connects directly to the 522-room, four-star, four-diamond Renaissance Atlanta Waverly Hotel. Shopping and dining variety are as convenient as the Cobb Galleria Centre’s on-site specialty mall, Cumberland Mall (directly across the street and accessible by a pedestrian bridge) and The Battery Atlanta (connected via pedestrian bridge). Offering $5 daily parking, Cobb Galleria is less than a one-day drive for 72 million people! Odyssey is the one industry event targeted specifically to your needs that can help you achieve your goals. Whether your priority is to improve profits, increase sales, or decrease production costs, Odyssey has the answers. Technical programs, a Technology Hall jam-packed with a wide range of products and services pertinent to your business, networking opportunities, and hands-on practical solutions are all under one roof.